There has been a major train crash in Hoboken, New Jersey, with accounts of multiple injuries and concerns about possible causalities flooding social media. The commuter train reportedly failed to stop, crashing into the terminal and through the platform at the Hoboken station. Officials have so far indicated that the crash was "serious" and resulted in "multiple injuries." According to ABC News, New Jersey's emergency management system is reporting that at least 100 people were injured in the crash, including the train's engineer and passengers. NJ Transit is also indicating that multiple passengers are currently trapped. NBC News confirmed at least three people are dead after the crash. Early reports from NBC News detail the train's path, saying that the 1614 train on NJ Transit's Pascack Valley line failed to stop as it reached the Hoboken station just before 9 a.m., the height of rush hour for commuters traveling from New Jersey to New York. Two local law enforcement officials also told NBC News that the crash was an accident, though stressed that the investigation is in its preliminary stage. Photos of the crash flooded in across social media, showing the platform as a tangled mess of steel and failed support beams. ABC News has likewise confirmed that the crash resulted in extensive structural damage to the terminal, taking out a beam that supported the roof above the tracks and causing a partial collapse. Several of the train's passengers tweeted out that they felt "lucky to be alive." Reports indicate that the majority of those injured were in the first car of the train or in the station as debris struck them. Those in the second car and further back were able to break the windows to escape. 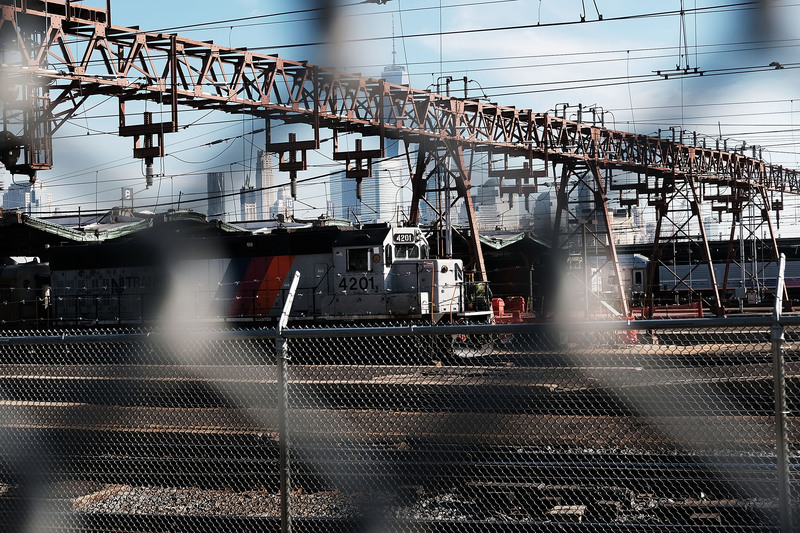 An official from the Federal Railroad Administration has said that federal investigators are in route to the crash site, and that rail service has been suspended from in and out of the Hoboken station.